The Giants (6-3) have won four games in a row -- with each victory coming by single digits -- and are aiming for their first five-game winning streak since 2011. Under first-year coach Ben McAdoo, the team is 4-1 at home and already has matched its six-win total from a season ago. The outlook is not nearly as bright for the reeling Bears (2-7). Chicago has dropped four of its past five games and is 0-5 on the road this season as the team prepares to head east. To make matters worse, the Bears will not have two of their best players on offense. Pro Bowl guard Kyle Long was placed on injured reserve this week after being carted off the field with a right ankle injury against Tampa Bay, and Pro Bowl wide receiver Alshon Jeffery will serve the first game of a four-game suspension for violating the NFL's policy on performance-enhancing substances. New York has a plus-11 turnover ratio, which is the best in the NFL. The Giants have a top-10 rushing defense (92.1 yards allowed per game) and have held opponents to 20.4 points per game, which is No. 11 in the league. On paper, the Bears' offense does not match up well against the Giants' defense. Chicago has managed only 15.7 points per game, which is second-to-last in the NFL. Meanwhile, mercurial quarterback Jay Cutler is coming off his worst outing of the season as he threw two interceptions and fumbled twice against the Buccaneers. Rookie running back Jordan Howard dinged up an ankle in Week 10 but returned to practice this week. If Howard regresses, look for the tandem of Jeremy Langford and Ka'Deem Carey to carry the ball for the Bears. With Jeffery suspended and Kevin White injured, the top receiving option for the Bears is tight end Zach Miller (44 receptions, 425 yards, 3 TDs). Meanwhile, wide receivers Cam Meredith and Marquess Wilson likely will see more action on the outside. Meredith, 23, joined the team in 2015 as an undrafted free agent out of Illinois State. The 6-foot-3, 207-pound flanker has impressed coach John Fox this season as he has caught 29 passes for 381 yards and two touchdowns. The Washington Redskins are surging and the Green Bay Packers are struggling. The story line for Sunday night's game at FedEx Field isn't too much different than it was for last year's wild-card playoff game in Washington. The Redskins had won four in a row and the Packers had lost two in a row. Washington promptly jumped on Green Bay, taking a quick 11-0 lead. It was all Green Bay the rest of the way, though, as it advanced with a 35-18 win. Washington is hot again. After back-to-back home losses to Pittsburgh and Dallas to open the season, the Redskins are 5-1-1. The Packers have dropped three in a row and four of their last five to tumble to 4-5. 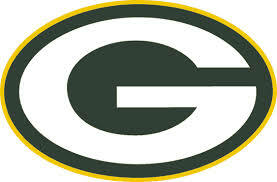 The Packers' string of seven consecutive playoff berths is matched only by the New England Patriots. With Green Bay's season in deep trouble, McCarthy is hoping for a repeat of last year's playoff performance. Washington's offense is led by quarterback Kirk Cousins. He has thrown for 2,716 yards and completed 66.9 percent of his passes. He has one of the deepest group of pass-catching threats in the league, with six players having at least 26 receptions. Green Bay's pass defense, on the other hand, ranks 29th in opponent passer rating. Last week at Tennessee, the Titans threw five touchdown passes and only seven incompletions. On the other side of the ball, Packers quarterback Aaron Rodgers has struggled for most of the season. Without even the pretense of a running game the last four weeks, Rodgers ranks in the bottom half of the league in passer rating, completion percentage and yards per attempt. Injuries have slammed the Packers. They had nine Week 1 starters out of the game by the end of last week, with right guard T.J. Lang (ankle) and left tackle David Bakhtiari (knee) dropping out of that blowout loss. The Packers could get back outside linebacker Clay Matthews, who has missed the last three games, and tight end Jared Cook, who has missed the last six games.